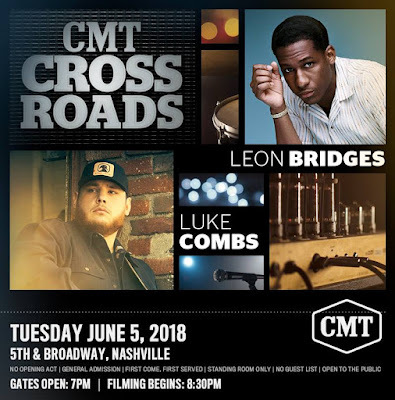 CMT to Film Crossroads Featuring Luke Combs & Leon Bridges on Free Outdoor Stage! 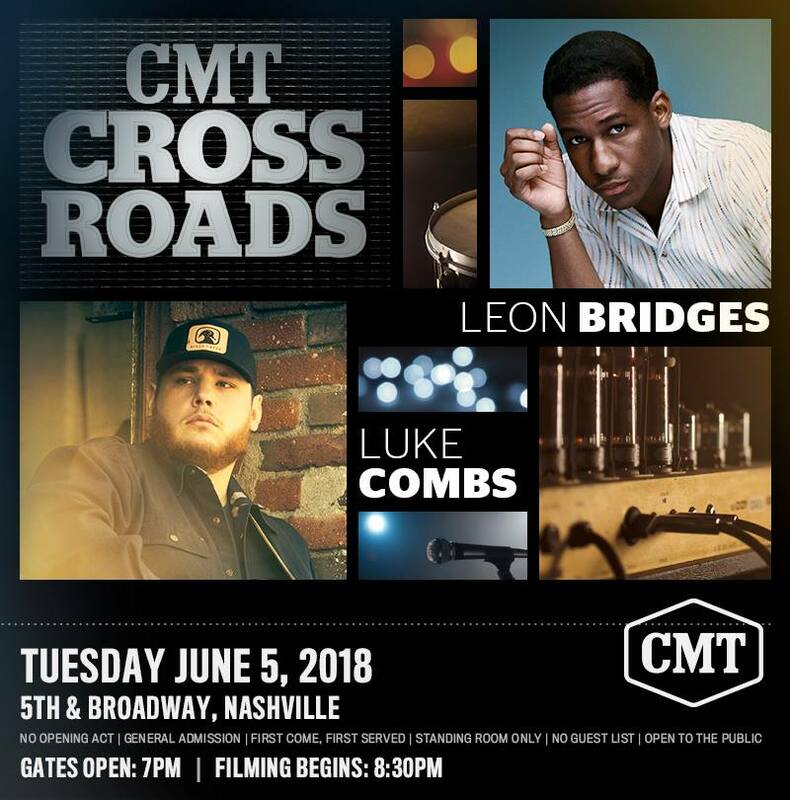 CMT will film Crossroads featuring Luke Combs and Leon Bridges on Tuesday, June 5, 2018 at 8:30 PM. The show will take place on an outdoor stage located at 5th and Demonbreun and is free and open to the public on a first come, first served basis! Gates open at 7 PM!